Look for the latest Charles and Keith sale at ShopBack to save more on accessories on top of Cashback! Sandals: Earn Cashback on your orders or get the latest info on a Charles and Keith sale at ShopBack to save more! Go casual but stay stylish with sandals from Charles & Keith! Cashback off your belt purchases! Enjoy Cashback and find the latest Charles and Keith promo code from ShopBack! Shop and save more at Charles & Keith with ShopBack! Get access to products first with Charles & Keith Online Exclusives. Enjoy Cashback and access to the latest promo code with ShopBack! Charles & Keith Sale: Save more at the sale section on top of Cashback! Save more on earings by looking for the latest Charles and Keith promo code at ShopBack! Don't forget to shop with ShopBack! Be several shades cooler with Charles & Keith! Earn Cashback off your Charles & Keith online order! Also, find the latest promo code at ShopBack! Find out about the latest Charles & Keith promotion at ShopBack to max out savings on your flat purchases! Stay comfy with Charles & Keith! Charles and Keith is the pride and glory of two brothers, Charles and Keith Wong. Having established a brand name for themselves both locally and internationally, Charles and Keith has also become the pride of Singapore. The Charles & Keith Signature Label is well-loved by local consumers, for their luxurious line of products alongside their extensive line of Charles and Keith shoes and Charles and Keith bags for sale. If you’re looking for a tasteful shoulder bag along with a sleek new pair of shoes, then head over to Charles and Keith, where they will not disappoint with specially tailored products that will suit your fancy. Put your best foot forward with the extensive collection of polished, classy shoes found on the Charles and Keith online store. Charles and Keith will not disappoint with its array of boots, clogs, flats, heels and wedges for sale. Be sure to look out for any Charles and Keith sale offers to save on your new pair of shoes. Bags are a great way for you to add an extra bit of colour or print to compliment your overall look. We love the minimalistic designs of clutches, satchels and haversacks for sale on the Charles and Keith online store. Charles and Keith handbags and shoulder bags are the best companions for a workday, for they not only look professional but are also the perfect size for all your work essentials. For those looking for a simple weekend hobo bag or sling, Charles and Keith have bags for you too. Alternatively, shop for a new wallet or wristlet using Charles and Keith voucher codes and discounts! We recommend the latest colour block designs, which make their wallets simplistic yet unique. While Charles and Keith is not typically known for its accessories, you’re still going to be impressed by the high quality of their sunglasses, bracelets and necklaces. Their dainty and ethereal designs will add that extra oomph to your outfit. With Charles and Keith discount offers and other sales available, shopping for good pieces of jewelry is always affordable and easy. If you’re thinking that you’d rather shop at a physical Charles and Keith Singapore outlet, think again! There are online exclusive designs and Charles & Keith promotion deals specially for you when you purchase your favourite Charles & Keith shoes and bags online. Charles and Keith promotion, Charles and Keith sale, Charles and Keith offer… the savings never end! Rest assured that you don’t have to break the bank in order to live in luxury anymore – all you have to do is make full use of the Charles and Keith voucher codes as well as the abundant Charles and Keith promotion deals! We recommend shopping at the Sale section to get all sale styles from under $19.90 only! Yes, you can get marked-down Charles & Keith items at an absolute steal there. You should also check the Promotions section religiously to find the latest ongoing Charles and Keith offer available, such as free standard delivery with a min. purchase of S$150! These are just some of the Charles and Keith discount offers made available to you. Be sure to sign up for the Charles & Keith newsletter to get updates on upcoming Charles and Keith sale offerings. Now, by shopping at Charles and Keith through ShopBack Singapore, you can save even more, thanks to great cashback deals up for grabs! For any order that you make, regardless of the size or time of purchase, ShopBack Singapore promises 7% cashback on the cost of your order! This means that on top of savings you get from the Charles and Keith promotion deals, you also will get cash sent back to you just by shopping at Charles and Keith. Shopping online has never been more affordable or more rewarding. Be sure to connect with Charles and Keith Singapore to get all the latest news on Charles and Keith promotions and discounts! You really do not want to miss out on the latest Charles and Keith sale, as well as the best Charles and Keith voucher and discount deals. To make sure of it, do follow Charles and Keith on the following social media platforms: Facebook, Twitter, Google+. We especially love the Charles & Keith Tumblr as it is essentially a Lookbook for the signature minimalist Charles & Keith style – those who can’t get enough of the Charles and Keith designs would want to check it out. Do also be sure to keep up with the Charles & Keith blog to get all other updates on the newest arrivals on Charles and Keith, as well as the latest fashion trends. If you just can’t get enough of the beautiful Charles and Keith designs and are dying to find other similar apparels, then head on over to ASOS, Topman and Zalora today. You can be sure to find other great discounts and sales for sleek and bold apparel. If that’s not enough, you can also head over to the Fashion section to catch other great promos for clothes, accessories, bags, fragrances, shoes and more, right here at ShopBack Singapore. Earn cashback for your every purchase with us! So what are you waiting for? Start shopping now! Charles & Keith empowers women through fashion! Charles & Keith is a Singapore-based lifestyle brand converting the latest trends in women’s fashion into accessible shoes and accessories. It offers a wide collection of lifestyle products to suit women of all age groups. Today, Charles & Keith is one of the leading lifestyle brands in the world and is the go-to destination for trending fashion. The online store of Charles & Keith, Singapore only makes trending fashion more easily accessible. From majorly a large variety of women’s shoes and accessories to an outstanding collection of kids’ accessories, the brand serves you with quality products. Moreover, with the Charles & Keith’s mobile app, buying your favourite products has become even easier; you can have the latest fashion at your fingertips and have a seamless shopping experience. Charles & Keith was established in 1996 by Charles Wong and Keith Wong, who are brothers and well-known fashion entrepreneurs. The brand initially aimed at providing women with a unique collection of fashionable footwear to fit them tailor-made. Charles Wong and Keith Wong designed their own footwear and sold them at their first store at Amara Shopping Centre in Singapore. In 2000, Charles and Keith Wong saw an international expansion in their business, beginning with Southeast Asia. Then, in 2004, Charles & Keith outlets opened in the Middle East countries such as Bahrain, Saudi Arabia and Oman. In the year 2007, the brand added to their product range a collection of sunglasses and belts. Charles & Keith received the Entrepreneur of the Year Award by Rotary Club in 2008, and in 2012, the company won the Entrepreneurship Award by Spirit of Enterprise. By the year 2013, Charles & Keith had 400 outlets globally. Charles & Keith currently sells a wide range of accessories apart from selling footwear. The brand now has over 500 stores in Asia Pacific and Europe and across the Middle East. Apart from being a popular fashion brand, Charles & Keith plays a major role in corporate social responsibility. The brand has collaborated with United Nations Entity for gender equality, with Earth Hour to support environmental causes and with Breast Cancer Foundation. Charles & Keith also serves various Humanitarian Causes. Charles & Keith wallets, Charles & Keith bags, jewellery, shoes, sunglasses and belts are among the famous products of the brand. Charles & Keith SG has many promo sales and offers on the website, during which you can shop for various merchandise at the best online prices. Shoes: Charles & Keith shoes offer you the latest trends in sneakers, wedges, pumps, boots and all the kinds of shoes that you can imagine. The online store gives you the best options for shoes. Bags: Bags from this brand are popular worldwide. And by bags, we not only mean handbags, but backpacks, wallets, clutches, totes and many other kinds of bags to suit different occasions. Check out the online store and get numerous options to choose from. Charles & Keith bags’ new arrivals can be found under the “New” section on the website. Accessories: If you are looking for a one-stop destination to shop for different accessories, then Charles & Keith is the go-to place. Especially during Charles & Keith offers and discounts, you will find the best deals on accessories like belts, sunglasses, jewellery and tech accessories. Kids: Besides women’s shoes and accessories collection, Charles & Keith has a great collection of kids’ shoes and bags on the online store. Also, the Disney Tsum Tsum Collection of kids’ bags and shoes on Charles & Keith’s online store is amazing. Online Exclusives: This section on the website gives you all the products sold exclusively on the online store. These include apparel, shoes and accessories. Use your Charles & Keith code to avail discounts on these products. How to Shop at Charles & Keith? 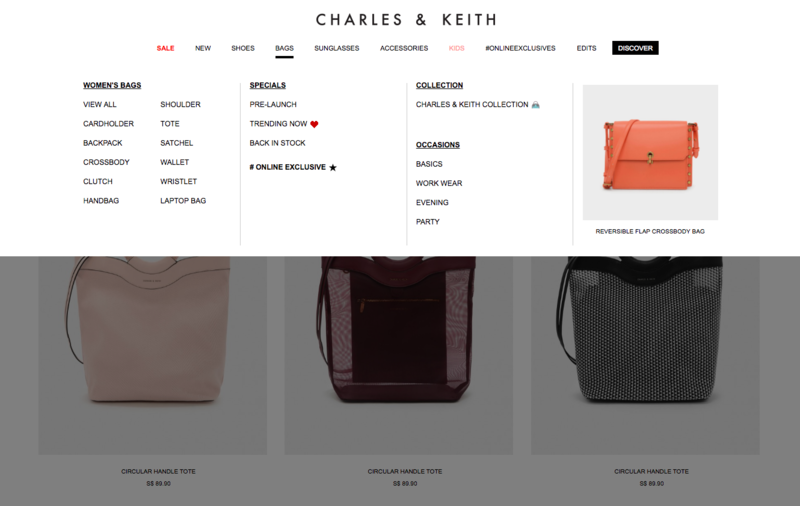 The Charles & Keith website has different sections for different kinds of products. 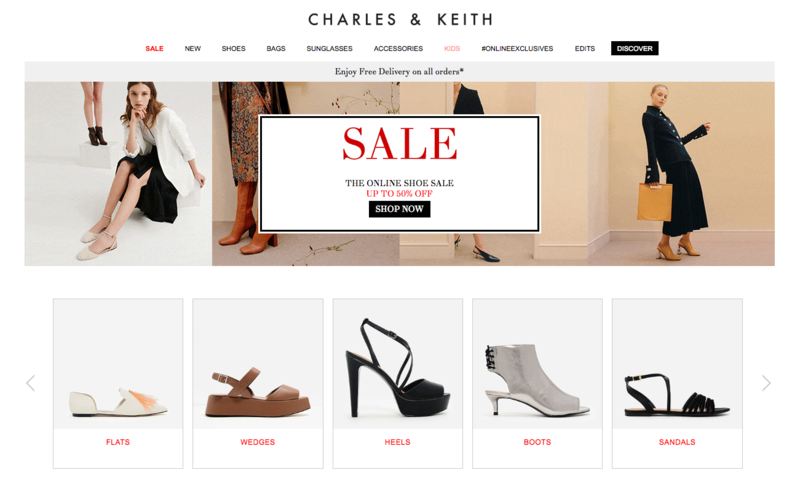 With Charles & Keith promotions, Charles & Keith discounts and alerts for other offers displayed on the homepage, the website has an easy-to-use interface for effortless shopping. The Charles & Keith sales section is where you can find products at their best prices. Browse through the categories and select the product that you want to buy. Step 1: Click on the “Add to Bag” button. Step 2: Click on the bag icon on the top right corner and a pop-up will appear. Click “Checkout” if you have finished shopping. You will be redirected to the checkout page. Step 3: Review your bag items and click “Proceed to Checkout”. Step 4: Click “Continue” after you sign in or create an account with Charles & Keith. Note: If you already have an account, you can sign in by entering your credentials, or you can create a new account on the website.You can otherwise choose to checkout as a guest. Step 5: Enter your details such as name, email ID, billing address and shipping address and choose a payment method. Click “Confirm Order”. You will be redirected to the payments page. Note: You must enter the Charles & Keith promo code (if you have one) in this step. Step 6: Enter your payment details and click “Pay”. Find out about a Charles & Keith Black Friday sale or Cyber Monday deal at ShopBack! Looking to get some socks this November 2018? Then make sure you have a look at ShopBack. This is where you can find the best deals from a Charles & Keith Cyber Monday offer to a Charles & Keith Black Friday sale to help you notch in max savings off your apparel purchases! Debit and Credit cards: Charles & Keith accepts payment through MasterCard, Visa and American Express cards. You can choose the appropriate card while making the payment. PayPal: PayPal is the simplest and safest way of making payments. This convenient payment method is available on the online store of Charles & Keith. The promos on Charles & Keith’s website allow you to shop for products at discounted rates. Look out for promotional offers, sales and discounts on the website and win exclusive Charles & Keith vouchers and Charles & Keith coupons. Use your coupon codes to enjoy amazing discounts on your choice of products. Click on the “Sales” section on the homepage to find all the products that are available on special offers and sales. You will find Charles & Keith bags on the Singapore website on sale, along with many other products of the brand. How to Redeem Coupons and Vouchers at Charles & Keith? With online shopping, you not only get a larger choice of products and an easy shopping experience, but also a chance to save money. By using the Charles & Keith coupon codes, you can get yourself amazing deals on a range of accessories, shoes and a lot more. Step 1: Add the item you want to buy to the cart by clicking “Add to Bag” and check out by clicking on the Bag icon on the top right corner. Step 2: On the checkout page, click “Proceed to Checkout” to get to the delivery and payment page. Step 3: If you already signed in, click “Continue”. If you want to check out as a guest, choose the appropriate option and click “Continue”. Or, create a new account with Charles & Keith. Step 4: Fill in your details and the billing & delivery address. On the right side of the page, fill in your Charles & Keith discount code and click “Apply”. Step 5: Choose payment option and proceed to make the payment. Step 1: Log in or sign up with ShopBack by using the options present on the top right corner of the homepage of ShopBack. Step 2: On the homepage, scroll down to find the “Fashion” tab. Select the “Fashion” tab and click on the “View All Popular Stores” option. You will be redirected to a page displaying the list of all stores. Step 3: Find and select Charles & Keith from the list of stores. You will be redirected to ShopBack’s Charles & Keith page. Step 4: Click “Activate Cashback” on the left side of the web page. 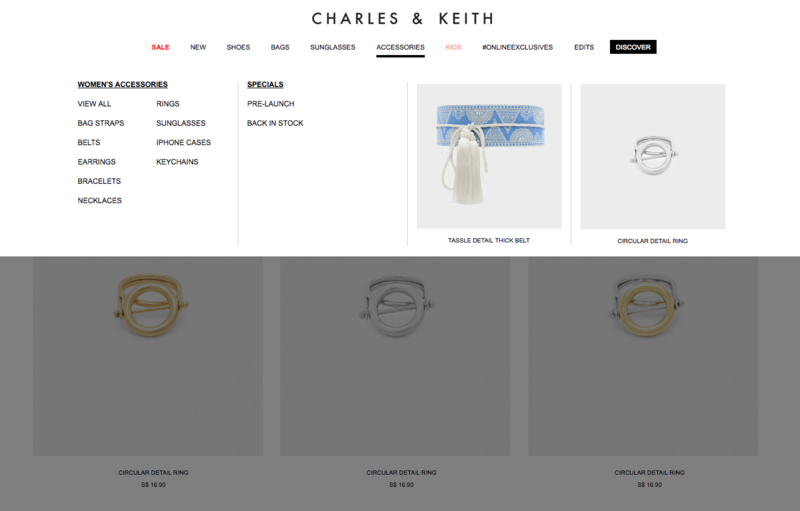 Then, click “Continue to Charles & Keith” on the pop-up. You will be redirected to Charles & Keith’s official website. To be eligible for cashback, you must have an account with ShopBack. Alternatively, on the ShopBack page for Charles & Keith, Singapore, you can check out the various deals and coupons available. Click on the “Deals” and “Coupons” tabs to view them. Shipping: Charles & Keith’s delivery and processing charges are based on flat-rate shipping charges and the mode of delivery that you choose. Charles & Keith offers three modes of delivery: Economical, Standard and Express. With Economic delivery, you will receive your order on the next working day; with Standard delivery, you can choose the time at which your order must be delivered on the next working day. Express delivery mode has you receive your order on the same day if the order was placed before 9 AM between Monday and Friday. Also, the Express delivery option is only available at specific times slots on public holidays. Delivery charges do not apply for Economic delivery but do apply for Standard and Express delivery modes based on the amount of purchase. Delivery charges of S$4 apply for all orders below S$40 and Standard delivery mode. For Express delivery and orders below S$120, delivery charges of S$9.90 apply. Returns: Charles & Keith, Singapore, allows you to return your order within 30 days of receiving. All orders except earrings (on the grounds of hygiene) can be returned. Earrings, unless you received a defective item or received the wrong item, cannot be returned. Also, only orders made online and delivered in Singapore can be returned. Charles & Keith, Singapore, provides you more than one way of contacting them. You can contact them by email, phone, fax or through the retail stores. To send an email for inquiry, you can go to the “Contact Us” section at the bottom of the page and click on the “Customer Service” option. Use the “Submit a Request” button to send an email. The customer service number of Charles & Keith is +65 6488 2688; customer service is available from Monday to Friday from 08:30 hours to 23:30 hours and on Saturdays and Sundays from 08:30 hours to 18:00 hours. To send them a fax, use +65 6488 1649. You can use their store locator to find your nearest retail store.